Let's Back up iPhone Media Files on Computer(Windows/Mac)! Home> Resource> iOS Transfer> Let's Back up iPhone Media Files on Computer(Windows/Mac)! However, you may meet many issues of iTunes when you use iTunes to back up iOS files. For example, iTunes can not recognize your iPhone. So you may use the alternatives to iTunes to achieve the goal. 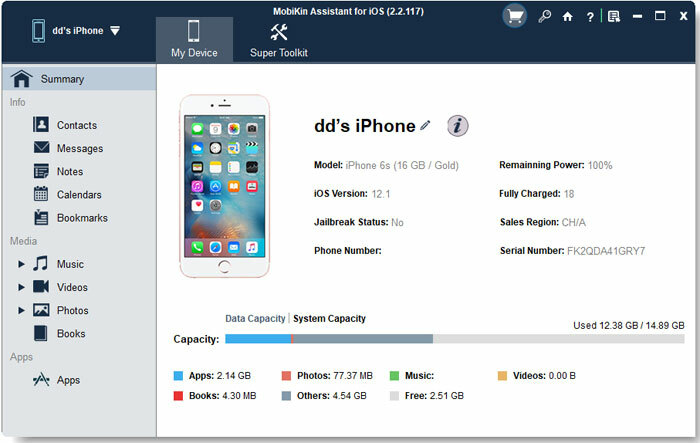 Here we will recommend you the best alternative to iTunes and iCloud - MobiKin Assistant for iOS (Windows/Mac), which enables you to back up various media files like photos, videos, books, voice memos, music on Mac or Windows computer. If you are interested in this third party tool, just read the introductions below. - All the files that the software detect and scan will be displayed as different categories on a window. You are able to find the target files easily and directly and then with one click, you can perform the transfer successfully. 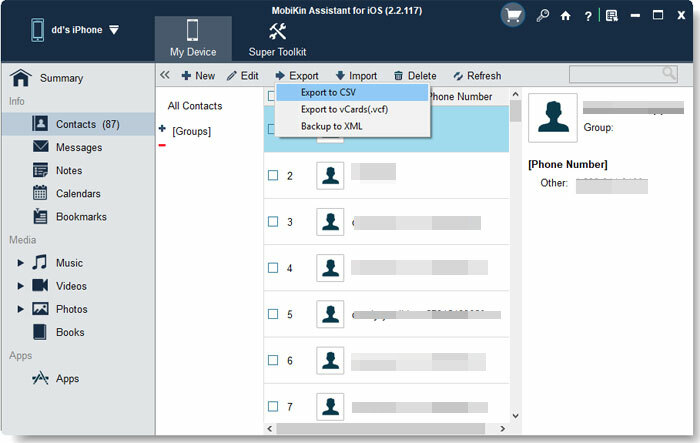 - With high compatibility, the program can be compatible with almost all types of iOS devices like iPhone, iPad and iPod. - The files you can transfer include not only the media files but also the contacts and text messages. There are two versions available and one is Mac version and the other one is Windows version. You can choose one according to the operating system of your computer. By the way, here offers you the free trial version and you can just download it to have a try! Install the software on your computer and start it. Then connect the iPhone to your computer with the USB cable and the software will detect the connected iPhone. Next, you will see an interface like this with many categories on the left panel. You can click on the options on the left panel according the types of files that you want to transfer and then you can preview all the files on the right panel. Finally just mark the wanted files and hit the Export button to transfer them to computer. Isn't it simple? Just download and try the software! How to Authorize Computer in iTunes? How to Fix iTunes Errors?